Tickets: $10, Students/Seniors $8 w/I.D. Tickets available at the door. Pictured from top left to right: Liz Young, Kent Anderson Butler, Liz Nurenberg, Lara Salmon, Curt LeMieux, Marsian De Lellis, Flora Kao, Brian Black and Ryan Bulis, Kristina Faragher, Thinh Nguyen, Claudia Bucher, Nancy Popp. All photos by Annie Martens. Sixteen new works will be presented in this one night only performance exhibition centering on the artist’s “constructs” of our rapidly changing social landscape and reflecting their “reports from the field” in a new millennium reality. This is a real time event. Explore the artwork while performance actions are taking place. Observe how artists describe and comprehend shifting realities, whether social, political or personal. How do we, as artists, negotiate these shifts as they arise? How do we stay connected within a confused cultural fabric? How do we function in an increasingly dense physical environment? The LACE event is different in many ways from Irrational Exhibits 15-year home at Track 16 Gallery. This event architecturally articulates these specific themes. The floor plan of the gallery is smaller and it’s in the center of Hollywood. The goal of this show will be to create a visual and performance installation as a microcosm of the urban experience. The artists’ borders overlap and thus simulate density that requires a tolerance of “otherness”. In this edition of Irrational Exhibits the artists have the opportunity to interact not only with the audience but also with each other. The artists’ installation/performances search for ways to re-map the landscapes inside and outside the gallery, noting that the urban center is constantly changing. This group show is an experiment in sharing limited space and limited resources with optimal creative expression. 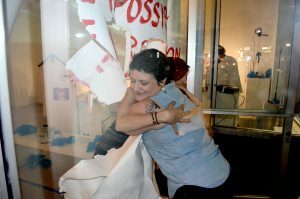 The Irrational Exhibits project began in 2001 at Track 16 Gallery as a platform to articulate the connectivity found in the concept of the “group show” as a performative immersive landscape. Simultaneous durational performance works create an intensive kinetic environment that invites the audience to be more engaged. It is this dynamic that has been central to the Irrational Exhibits mission. Please join the artists in Irrational Exhibits for this one night of Live Art. Claudia Bucher is a Los Angeles-based multimedia artist who works with performance, new media, sculpture, and installations to explore ideas about extended sentience. She is interested in the crossover between art, science and technology, architecture, mysticism and science fiction. Her latest work is inspired by space exploration, the Mojave Desert, biomorphic design and DIY culture. She has an MFA from Art Center College of Design and has taught sculpture and 3D printing at UCLA, Otis College of Art and Brandeis University. She was recently an artist-in-residence at Joshua Tree National Park through the Joshua Tree National Park Council for the Arts. Brian Black and Ryan Bulis have been working collaboratively in Southern California since 2004. This artist team appropriates iconic activities and challenges preconceptions of masculinity, athleticism and identity. Their assisted sculptures are exaggerated archetypes taken from the workplace, sports and pedestrian life. By adjusting the familiar and pushing the level of absurdity in their art making, the duo invites the audience reconsider the sanctity and boundaries of the art institution. Kent Anderson Butler is a Los Angeles based artist working in a variety of mediums. He has participated in solo and group exhibitions nationally and internationally including: The International Biennial of Contemporary Art, Venezuela, Coagula Curatorial, Museum of Art and History, Lancaster, Perform Chinatown- Los Angeles, The Pasadena Museum of California Art, Fringe Exhibitions – Los Angeles, Orange County Museum of Art, Cave Gallery- Brooklyn, NY, Track 16 Gallery- Santa Monica, Carl Berg Projects-West Hollywood, Art Center College of Design, and Hunter College, NY. In January 2012, The Kellogg University Art Gallery at Cal Poly Pomona presented a diverse exhibition featuring ten years of work by Kent Anderson Butler. He is Director of Visual Art and Professor of Art at Azusa Pacific University and teaches all levels of photography courses and New Genre Art Forms in the undergraduate program and graduate courses in the MFA program. Monica Duncan grew up in Webster, NY—around the apple orchards along Lake Ontario, the industry of Kodak and the tales of the Rochester Rappings. Her time-based work investigates the nature of visual and temporal perception through camouflage, stillness and the surrogate body. Duncan’s work has been exhibited at Mousonturm, Frankfurt, The Kitchen, New York City, Parkhaus Projects, Berlin, La Casa Encendida, Madrid, BS1 Contemporary Art, Beijing, ZKM Karlsruhe and LACMA, Los Angeles. She has attended residencies at the Experimental Television Center and has been a Visiting Artist at Atlanta College of Art. Duncan received her BFA at NYSCC at Alfred University and MFA from the University of California San Diego. She is currently studying choreography and performance at the Institute for Applied Theater Studies, Justus-Liebig-Universität Gießen, Germany. 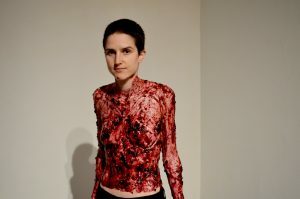 Kristina Faragher has exhibited works of art individually and collaboratively in a host of media, including, video, performance, painting and installation. Selected venues and festivals include: Hammer Museum, Los Angeles. ARCOmadrid’s 29th International Art Fair, Spain, The Oakland Museum, Oakland, CA, The Autry National Center, Los Angeles, The REDCAT Theater, Los Angeles, Shoshona Wayne Gallery, Santa Monica, Track 16 Gallery, Santa Monica, Highways Performance Space and Gallery, Santa Monica, SITE Santa Fe, Santa Fe, New Mexico, LA Freewaves Ninth Annual International Media Festival, Los Angeles, The Berkeley Video and Film Festival, Berkeley, CA. The Fifth Festival International de la Image in Colombia, South America, Pixel Pops Short and Fast, Scotland, Orkney Islands, UK. The Museum of Contemporary Art in Minsk, Belarus. Faragher received an M.F.A. degree in 2001 from Claremont Graduate University in Claremont, CA. Janice Gomez’s work explores accessibility and self-awareness both in physical and mental space—sometimes manifesting in labyrinth installations that meander through constructed pathways, ultimately revealing a niche for reflection and collective interaction; explorations in performance with intimate recitals for an audience of one, occasionally blurring the line between audience and performer in addition to engaging spectators in larger numbers; and most recently, site specific tableaus with sculptural, photographic and sound elements. 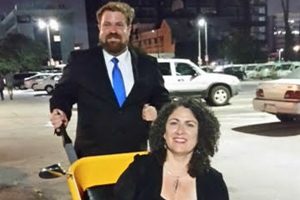 As the theme of self-awareness takes shape across many forms, one is often reminded of what the human body is able to endure or unable to achieve. 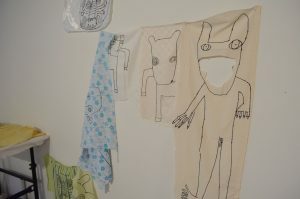 She has exhibited with Jaus in conjunction with Concrete Walls, Torrance Art Museum, Machine Projects, Hermon LaPrada, PØST and Human Resources. Gomez is also a co-founder of Summercamp’s ProjectProject, an artist run space hosting exhibitions, events, lectures and workshops in Los Angeles. Curt LeMieux’s artwork has been shown nationally and internationally and appears in several private collections. Exhibition venues and events include: The Santa Monica Museum of Art, Santa Monica, CA. ; Track 16 Gallery, Santa Monica, CA. ; Machine Projects at The Hammer Museum, Los Angeles, CA. ; Los Angeles Contemporary Exhibitions, Los Angeles, CA. ; The Berkeley Video and Film Festival, Berkeley, CA. ; The Sixth Festival of International Images in Manizales, Colombia; Luna International, Berlin, Germany; and The Museum of Contemporary art in Minsk, Belarus. LeMieux received an M.F.A. in 2001 from Claremont Graduate University, Claremont, CA. He also holds an M.A. in studio art from the University of Wisconsin – Superior. LeMieux currently lives and works in Los Angeles. Juan Meneses born and raised in Santa Monica received his B.A in Art from the University of California Irvine. Born in 1991. He works across multiple mediums but studied painting through most of his undergraduate career. Which began at Santa Monica College as part of the Art Mentor Program, and at Irvine a member of the Undergraduate Honors Studio Residency. His work has moved away from painting and into experimental practice with his most recent works. He investigates the landscape that is Los Angeles through socioeconomic views, using his experience as a starting point. Thinh Nguyen at the age of eleven immigrated with his family from a village in rural central Vietnam to Los Angeles. The experience had a profound impact on his sense of belonging and identification, where he considers himself to be neither Vietnamese nor American, male nor female, gay nor straight. In his work, he explores and navigates this malleable notion of cultural identities. Nguyen’s work take on a form of “conceptual blending” between socio-political and art historical issues with both poetic criticality and subversive strategies. He turns his visions into social intervention, performances, sculptural installation, videos, and works on paper, investigating the unequal socio-cultural values and the systems in power. The results of his works are hybrids of obscured individual identities transformed from personal and collective objects, imageries, memories, and traumas. Currently residing in LA, Nguyen founded thinhstudio and Videotag curatorial programs. He received his MFA from Claremont Graduate University (2011). 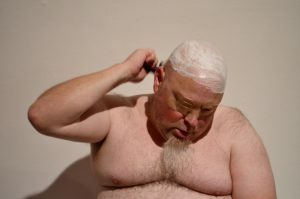 He exhibited his work nationally and internationally with solo exhibition at Whittier College (2015), Marymount University Art Gallery (2012), and group show at California Lutheran University (2015), Le Couac Contemporary Art Center, France (2013), Themed UCLA Biennial (2009), College Art Association Symposium (2013). He presented interventions at Guggenheim Museum, The New Museum, Museum of Modern Art, New York, Los Angeles Contemporary Art Museum, Museum of Contemporary Art, Los Angeles. Liz Nurenberg (b. 1978) is a Los Angeles based artist. She received a Bachelors of Fine Art from Grand Valley State University (2003) and a Masters of Fine Art from Claremont Graduate University (2010.) She is currently a Part Time Lecturer at California State University Northridge and a lecturer at Otis School of Art and Design. She was awarded a Helen B. Dooley Fellowship at Claremont Graduate University in 2010 and received a California Community Foundation Emerging Artist Grant in 2014. She has exhibited in Southern California and the Midwest. Her interactive objects explore intimacy, awkwardness, proximity, personal space, and touch. Nancy Popp is a Los Angeles-born and -based artist, educator and organizer. 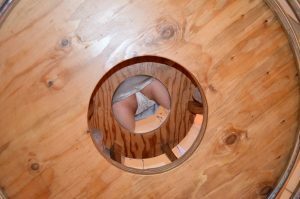 Her work draws upon the rich traditions of durational, corporeal performance and political intervention to explore relations between body as site, the context of site that envelopes the body, and the constant fluctuations that connect the two. Her practice engages both architectural and public space to wrestle with political and social boundaries of geography and identity through risky, playful, endurance-based interventions. Her media include photography, drawing, drawing and community organizing; she also writes for various magazines and websites on art, education and politics. 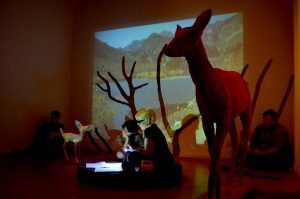 Recent residencies and fellowships include the 2011 California Community Foundation Visual Arts Fellowship and the Lucas Artist Fellowship at Montalvo Arts Center; she is currently in residence at Despina | Largo das Artes in Rio de Janeiro to engage with anti-gentrification movements in response to the internationally-funded development fueled by the 2014 World Cup and upcoming 2016 Summer Olympic games. Nancy’s work has been supported and exhibited by MOCA Los Angeles, the Getty Center, the 2011 Istanbul Biennial, the Atlanta Contemporary Arts Center, the 2014 Dallas Biennial, Rowan University, SUNY University, CSU Los Angeles, and galleries and public spaces in Belgrade, Düsseldorf, Tijuana, Zagreb and London. She holds degrees from Art Center College of Design and San Francisco Art Institute and is represented by Klowden Mann Gallery, Los Angeles. Bradford Chan Prairie is a digital and multimedia artist in Southern California. His practice exploits the narrative potential of images and misuse of technology to create immersive videos and installations. Lara Salmon (b. 1987 San Diego) grew up to a family of scientists and a mother who danced. At age 18 she moved north to study International Relations, Art and Arabic at UC Berkeley. She spent her final year abroad in Beirut, Lebanon. Lara is now based in Los Angeles, where she received a Master in Fine Arts from Claremont Graduate University. Liz Young is a 2016 Guggenheim Fellow recipient, she is an artist living and working in Los Angeles. She creates objects, drawings and installations that are relentlessly contrary and sentimentally sinister with diverse materials such as taxidermy and found objects, traditional art materials, gunpowder and craft materials. The materials are often recycled evoking memory and history. Her work address issues of the body, the human condition, nature and ultimately death. 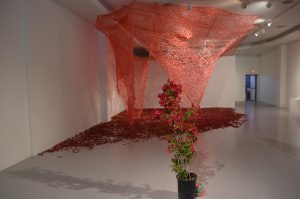 Liz Young has exhibited her work in galleries and museums, nationally and in Europe.Her work has been supported by Los Angeles Contemporary Exhibitions (LACE), MOCA in Los Angeles, Santa Monica Museum of Art, The Luckman Center, Exit Art and Hallwalls in New York, Molndal Konsthall, Sweden, Long Beach Museum, the Skirball Center, Kappa Museum, Prague, and the Los Angeles Cultural Affairs Department as well as commercial galleries including Western Project, Andrew Shire, Deep River and POST. Young has received many grants in the past, both local, state and national awards; a City of Los Angeles Cultural Affairs grant, 2 California Arts Council grants, a Surdna Fellowship and a J. Paul Getty Fellowship. She has also been the recipient of grants from Art Matters inc. and participated in residencies at the McColl Center for Visual Art in Charlotte, North Carolina and the Ucross Foundation in Wyoming as well as the Headlands Center for the Art and the MacDowell Art Colony. Her works are in many private and public collections including LACMA, Lef Foundation, Greve Foundation, and the Norton Family Foundation. Deborah Oliver is an educator, independent curator, producer, and interdisciplinary artist. 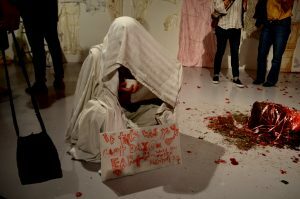 She is the curator of Irrational Exhibit; irrationalexhibits.com, an immersive performance/installation exhibition series she began in 2001 at Track 16 Gallery, the 9th edition will take place in June 2016 at Los Angeles Contemporary Exhibitions. Since this series began over 150 artists have participated in these exhibitions. Since 1998, Oliver has been teaching Performance Studies and New Genre at the University of California Irvine, Art Department. She recently co-founded “The Art of Performance in Irvine” an annual performance event at the xMPL, Experimental Media and Performance Lab at UCI.